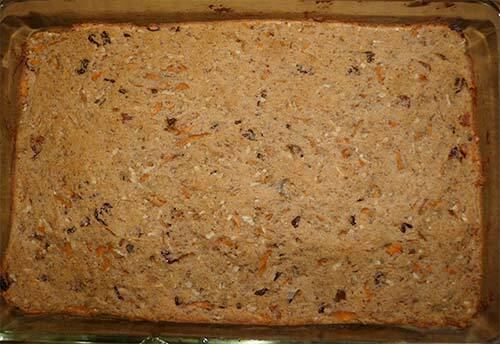 I have heard you can substitute whole grain sorghum for rice in recipes, so I decided to give this a test with an old classic recipe. I started with this broccoli rice casserole recipe from Food.com and made it gluten-free by using gluten-free mushroom soup. I also used fresh broccoli and mushrooms. 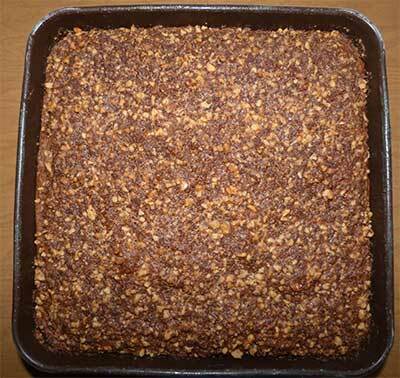 I tried a different brand of whole grain sorghum this time and it seemed to cook up with a softer texture. It was from Nu Life Market. This recipe turned out really good and made me want to try substituting whole grain sorghum in other rice recipes. 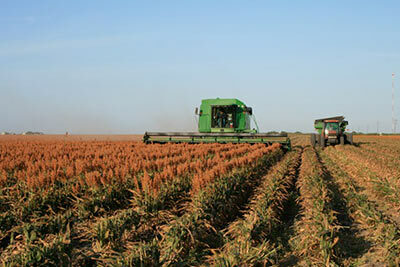 Cook sorghum according to directions on package – it takes about 1 hour. 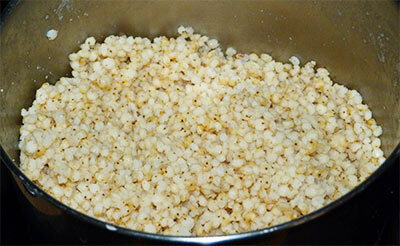 Here is the sorghum cooked in the pan. Add broccoli and mushrooms and cook just until softened a bit. 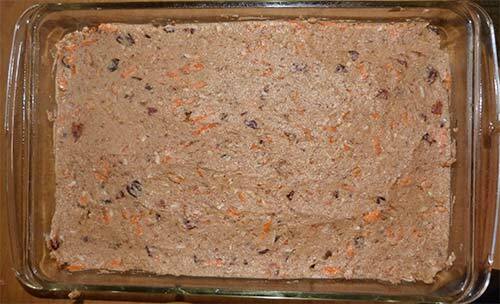 Put sorghum in casserole dish and add mushroom soup, cheese and vegetables; mix thoroughly. 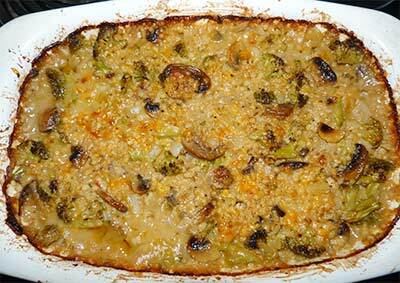 Sorghum Broccoli Cheese Cassarole – right out of the oven. To make ahead and freeze: Mix all ingredients together and spoon into two or three smaller casserole dishes, cover, label and freeze. If you thaw overnight, just cook for one hour. If cooking from frozen state, add ten minutes or so, check for doneness. 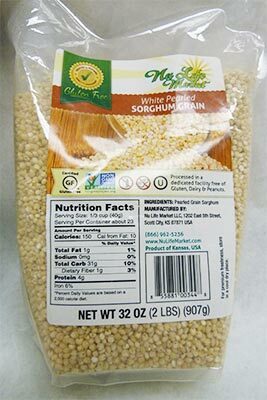 Have you tried cooking with whole grain sorghum? I would love to hear how it turned out. Yesterday Maizy brought me the BEST present – a rawhide bone! I hid it in the couch for a few minutes, but I just HAD to get it again! I even slept with it in my bed last night. Maizy is my VERY BEST FRIEND! Accept that you have celiac disease. The first step towards managing a successful gluten-free diet is accepting that this is a necessity for you in order to live a long and healthy life. Having a positive attitude will make managing the diet much easier! Schedule an appointment with a dietitian or nutritionist. As soon as you are diagnosed with celiac disease, you should ask your doctor for a dietitian or nutritionist referral. These professionals can help you learn the basics of a gluten-free diet and make suggestions to get your body healthy. Dietitians also receive hundreds of samples from food vendors, so they may have gluten-free items for you to sample. Learn which foods contain gluten. Gluten is a protein found in all forms of wheat, barley and rye, which means that most forms of bread, pasta and other baked goods found on grocery store shelves are off limits. You will also need to learn which grains are unsafe. Learn how to read food labels. It is important to always read the labels of prepared, canned, and packaged foods to be sure that no gluten has been added to them. Plain meat, poultry, fish, fruit, and vegetables are all naturally gluten-free, as are rice, potatoes, corn, and quinoa. Research gluten-free vendors. As more people are diagnosed with celiac disease, the gluten-free marketplace will continue to expand with better tasting products in more grocery stores. There are hundreds of gluten-free products available including breads, pizzas, pastas, cookies, cakes and crackers. Read gluten-free cookbooks and learn how to make your favorite recipes gluten-free. There are hundreds of cookbooks available that offer tasty gluten-free recipes. Go to your local bookstore to browse through the cookbook section. To find more fantastic cookbooks, visit the NFCA website at www.celiaccentral.org. Prevent cross-contamination at home by educating your family. Teach your family about the gluten-free diet. Learning to prevent cross-contamination is key to staying on track. This requires separating gluten-free products from other items in your pantry, as well as washing all cooking surfaces before preparing gluten-free foods. Remind your family not to share utensils, pots and pans, toasters, or other cooking items without thoroughly washing them beforehand. For example, take precautions not to dip a knife in peanut butter that has already touched a piece of bread. Attend local celiac support group meetings and Meet-Up Groups. Most cities in the United States have a celiac support group. Look up your local chapter and attend a meeting. Vendors send product samples to most meetings, so this is a great opportunity to taste gluten-free goodies. Also, Celiac Disease Meet-Up Groups are a new social phenomenon! In major cities, celiac patients have joined together to eat out at restaurants. You will meet people and learn which restaurants are celiac friendly. Schedule annual follow-up appointments with your doctor. To make sure your gluten-free diet is successful, schedule annual exams and take the celiac antibody test when directed by your doctor. If your blood test comes back normal, it will confirm that you are maintaining a completely gluten-free diet! Eat at restaurants. Ask questions, but don’t give up your social life! NFCA’s website, www.celiaccentral.org, has a directory of national restaurant chains and locations that have gluten-free menu options! The National Foundation for Celiac Awareness (NFCA) is a non-profit organization dedicated to raising awareness of Celiac Disease in order to gain a prompt and accurate diagnosis for those suffering, support the health and wellbeing of children and families with Celiac Disease and Gluten Intolerance and advance research by collaborating with thought leaders in the healthcare field. NFCA is the leading source for celiac information and conducts a rigorous nationally focused awareness campaign. The NFCA website (CeliacCentral.org) offers free, comprehensive information and support materials for celiac patients, their families and health care professionals. The mailman came on our porch and I barked him a LOT! 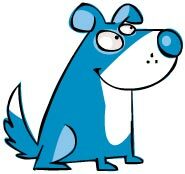 He always leaves when I bark him but Maizy said SSHHH! How will he know he has to leave unless I bark VERY LOUD? I don’t think she understands these dangerous mailmen. Cake batter ready for the crumb topping. 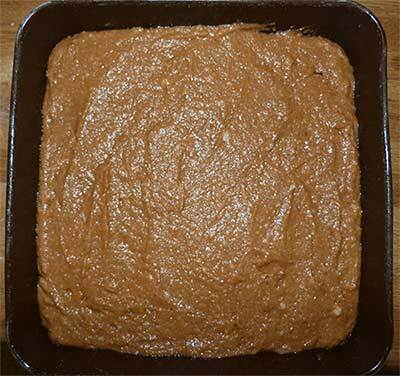 Make the topping by combining the brown sugar, sorghum flour, coconut oil, and cinnamon. Mix with a fork until sandy textured. 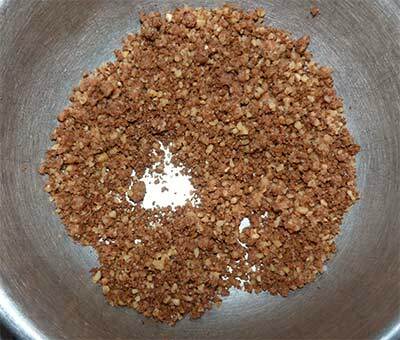 Crumbs ready to put on cake. Delicious and fragrant with spices served warm. Careful – it will be a bit fragile when warm. I put my chin on Maizy’s knee and watch her when she’s eating lunch. It’s a good trick because she always lets me lick her plate or gives me a COOKIE. She must love me a LOT! I ran across this video today and it got me thinking about the high cost of gluten-free foods. Use foods that are naturally gluten-free. Fresh fruits, vegetables, eggs, dairy products, nuts and seeds, meats, poultry and fish are all healthy, delicious, gluten-free foods. If you plan meals ahead of time using these foods you can avoid the cost of pre-packaged gluten-free products. Cook foods from scratch. Cooking foods from scratch is not only healthier, it can save you money. Make you own gluten-free mixes. Many of the gluten-free cookbooks, like the ones by Carol Fenster, have recipes for baking mixes. Make these ahead and have them on hand when you are ready to bake. Buy in bulk online. 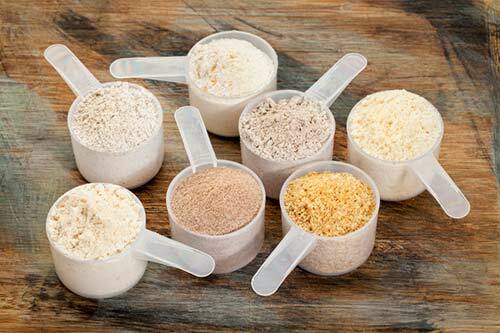 Many suppliers of gluten-free flours, like Bob’s Red Mill, have larger package sizes available that can save you money. Join forces with other families in your area that are eating gluten-free to share the cost and buy by the case. Join a local support organization. It’s a good way to meet people to recruit in sharing costs of bulk items. It’s also a good place to share information and recipes, and learn about products you may not have discovered yet. Develop a dependable gluten-free recipe file. This will not only save you money, but time and disappointment. I have a constantly growing “favorites” recipe file – my “go to” recipes that I know work and taste great. Use coupons. More and more companies that make gluten-free products are offering coupons. 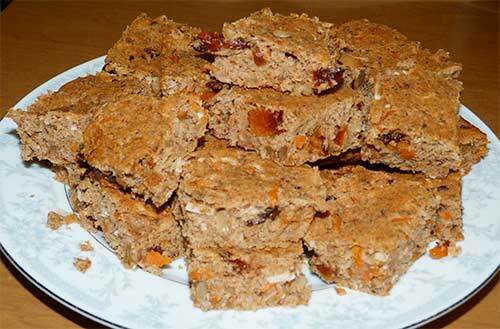 Go to the websites of your favorite gluten-free bakers and ask for coupons for their products. Many websites offer printable coupons. Shop the sales. Use meal planning to make your list and then shop the sales cycles to get the best deals. Stock up when the price is the best, and get enough to last you until the next sale. Avoid as many of the processed gluten-free products as possible. Some of the most expensive gluten-free items are the ones that come prepackaged. That box of gluten-free cookies may be tempting, but they aren’t necessarily healthy and they are more expensive than the other items in your cart. Eating gluten-free doesn’t have to be that expensive. It just takes a little planning and research. Happy shopping! Maizy growled at me when I woke her up last night. But I HAD to go outside to make sure that CAT was gone. She doesn’t appreciate my hard work sometimes.